It’s no surprise that too much sugar in a child’s diet can cause tooth decay, hyperactivity and increase the risk for obesity and Type 2 Diabetes, but what many parents may not realize is that sugar can also cause other chronic—and avoidable—health problems. 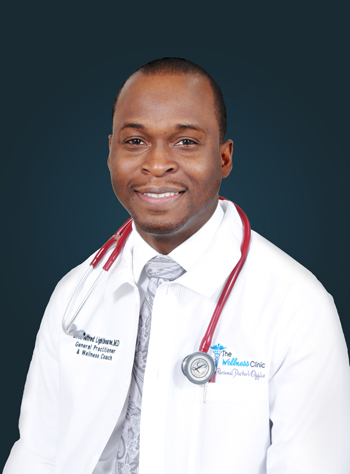 Too much sugar actually produces extended cold-like symptoms -- chronic runny noses, excessive mucus, cough and what appears to be painful sinus infections, said Dr. Lightbourne who witnessed firsthand hundreds of examples working in hospital emergency for nearly a decade prior to establishing his own family practice on Collins Avenue with an emphasis on lifestyle and wellness earlier this year. It was what he saw that inspired him to not only treat illness but dedicate himself to spreading information about wellness. Some youngsters have been diagnosed with allergies and prescribed medication with no formal testing when their symptoms may actually be due to too much sugar, while others are prone to recurrent episodes of what seems like croup, he believes. These children go to bed seemingly healthy, but wake up during the night with a barking cough and trouble breathing. “If we get rid of the symptoms, kids won’t need the medicine,” Lightbourne said. The body’s microbiome is made up of trillions of good bacteria that digest food, produce vitamins and protect it from germs and disease. But when youngsters consume too much sugar, it can alter the balance between good and bad bacteria and weaken their immune systems. “So although your children may still get frequent colds, their symptoms may be reduced if their sugar intake is reduced and limited as well,” he said. Part of the problem, Dr. Lightbourne said, is that sugar hides in unsuspecting foods like pasta sauce, ketchup (one tablespoon is equal to about 4 grams of sugar), pre-packaged oatmeal, salad dressing, processed foods and cereal. In fact, research shows kids’ cereals have 40 percent more sugar than adults’ making breakfast cereals the fifth highest source of added sugars in the diet of children under 8, coming in behind sugary drinks, cookies, candy and ice cream. A single sweet soda can have between eight and 10 teaspoons of sugar. “The ugly truth is that sugar additives put kids at risk for obesity and health problems that can show up as early as adolescence,” said Dr. Lightbourne. Even stomach ache and poor appetite can result from too much sugar whether processed, present as high fructose in foods and condiments or even in natural states including agave. According to a study conducted by the Washington D.C.-based National Institutes of Health (NIH) in October 2015, obese children who cut back on their sugar intake see improvements in their blood pressure, cholesterol readings and other markers of health after just 10 days, showing that calories from sugar are especially likely to contribute to Type 2 diabetes and other metabolic diseases, which are on the rise in children. In fact, in The Bahamas, 11 percent of preschoolers are overweight or obese, 10 percent of Grade 1 students and, 18 percent of students in Grade 6. As a direct result, chronic non-communicable diseases currently account for three quarters of all deaths in The Bahamas. The biggest contributors (40 per cent) are heart disease and diabetes. Obesity has also been also linked to psychosocial disorders and poor education results, according to the World Health Organization.